Baby Carrier Evolution. Model Beenda Emerald. Evolution is a baby carrier of type evolutionary. Designed to fit your baby's growth from 3 months to 4 years. 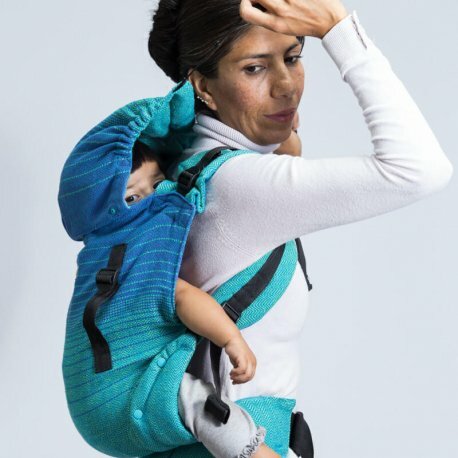 Beautiful and practical baby carrier to make babywearing a safe, comfortable and simple activity. Beautiful and practical baby carrier 100% cotton. Fabric handwoven in longitudinal herringbone twill. In this type of fabric the yarns are in a pattern of waves that go along the length the fabric. These waves give the fabric high elasticity diagonally making it perfect for babywearing. The softness of the fabric is guaranteed by its craftsmanship. Being made in handmade fabric the Indajani Evolution Baby carrier adapts perfectly to the baby's body as a second skin. A baby carrier very soft where orange, brown and beige colors are combined in a perfect way to achieve a beautiful fabric. Colors that remind us of the beauty of wood and nature. 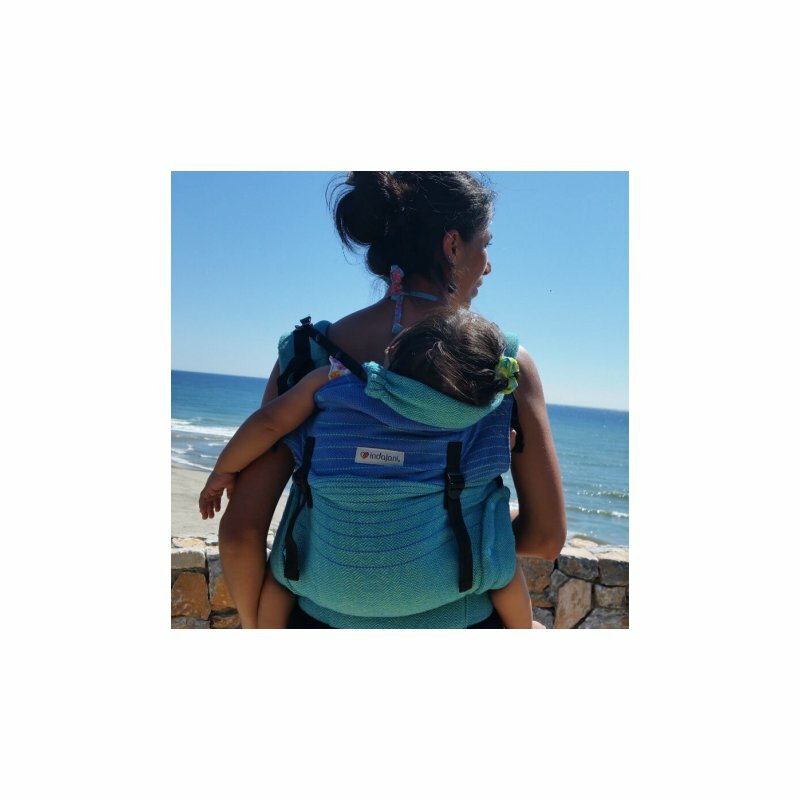 Soft cushioning on the straps and in the area of ​​the corners for baby and carrier comfort. Adjustable cap to hold baby's head and protect from the sun.